CUMBERLAND COUNTY HAS GONE SINGLE STREAM! 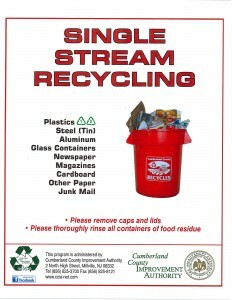 ALL RECYCLABLES SHOULD GO IN ONE CONTAINER-THERE IS NO NEED TO SOURCE SEPARATE. Call with any questions regarding the new process at (856) 785-3100, Ext. 310 or hsparks@commercialtwp.com. Interested in joining the “Green Team”? Learn more about the Sustainable Jersey program. 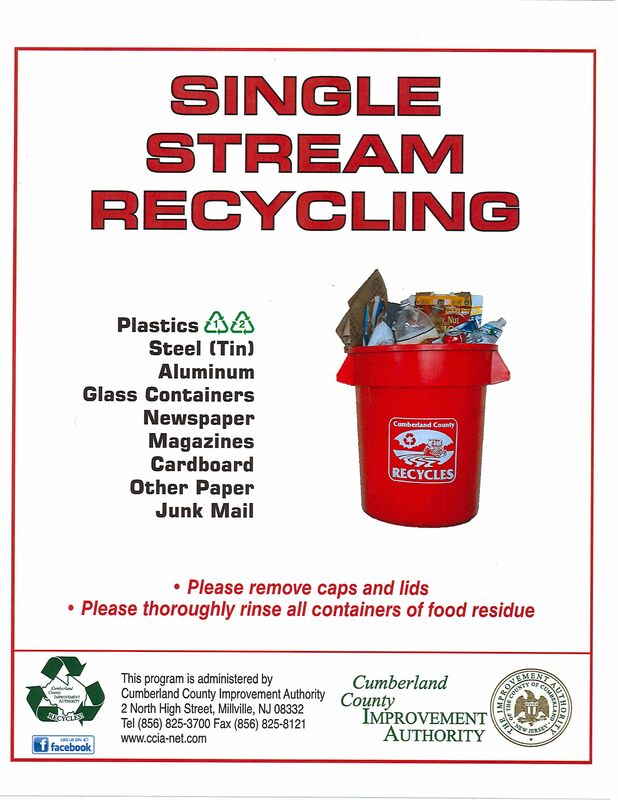 Cumberland County Has Gone Single-Stream – PLEASE READ!! For more information regarding recycling in the State of NJ, contact webmaster@recyclingNJ.com.